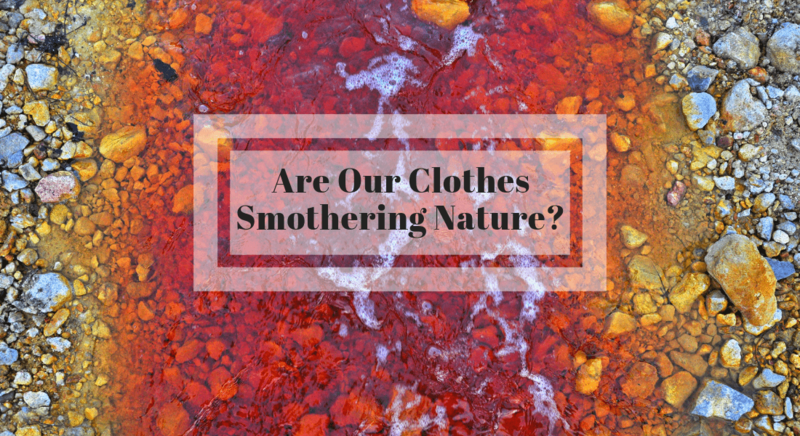 HomeEnvironmentAre Our Clothes Smothering Nature? The textile industry is one of the oldest and biggest industry in the world. Being one of the largest industry, its effects on the environment is something everyone needs to think about. Do we harm the environment with the clothes we make? If we do, to what extent? People among us have found answers to these questions and the solutions to the questions the answers led to. Let’s just cumulate the solutions here. A simple answer would be yes, they do harm nature. The textile industry has expanded over the years due to the exponential increase in demand. 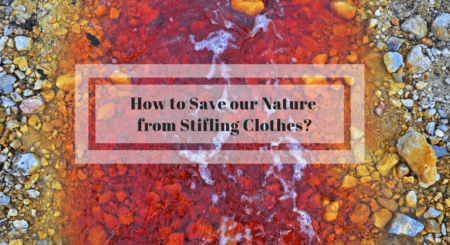 From the production of clothing fabric to the dyeing process, each process has a hand in harming nature. The fabric used are cotton, yarn, silk, linen, cashmere, jute, hemp among others. Of these, about 40% of clothes are made of cotton. The production of cotton itself causes the most harm to nature. Usage of chemical pesticides and fertilizers are one of the major sources. Through this, soil and water are heavily polluted. In the making of rayon – artificial fabric made from wood pulp has resulted in cutting down of a lot forest. Also, synthetic fabrics like nylon and polyester – made from petrochemical require a lot of water and even emits greenhouse gases. The making of clothes involves process like bleaching, dyeing and washing which all require gallons of water. The dyes used these days are all chemically made and produce salts as by-products. These by-products do not decompose and end up in nature through the water. One major concern is the quantity of water required in dyeing clothes. Another concern is the same quantity of water filled with chemicals which is a by-product. Our fashionable clothes are directly polluting the most vital resource – water, directly and other resources indirectly. Most people among us are not aware of the adverse effects caused to the environment by the clothes they wear. Those who have realized have been trying to find ways of making clothes without affecting nature. Curious about the solutions? Wait till next blog. Posted in Environment and tagged clothes and nature, clothes environmental impact, effect of textile industry on the environment, environment, harmingenvirnoment, impact of textile waste on environment, Organic clothes, organic cotton clothing, organic cotton fabric.